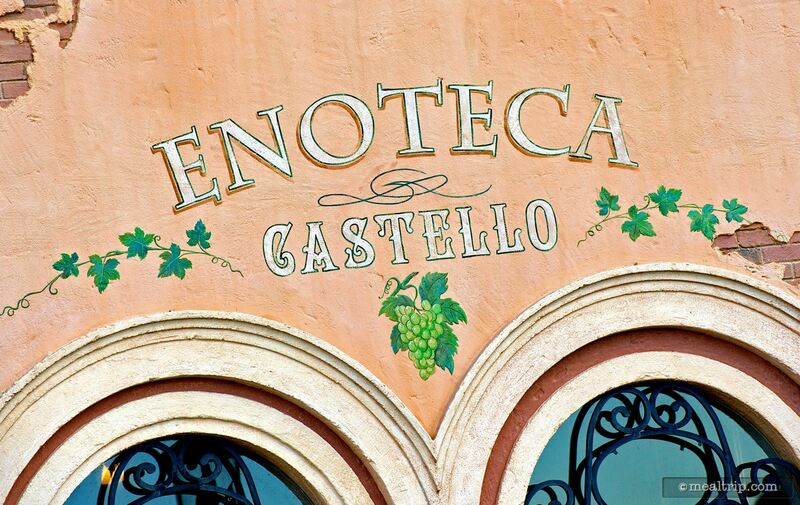 The Enoteca Castello listing is a Counter Service (quick service) dining location at Epcot featuring Wine, Beer, Spirits or Beverage-based cuisine. There are 2 photos in the Mealtrip photo gallery for this location and dining period. The Enoteca Castello listing currently has a score of out of 100. Click here to read all of the reviews for this location, or log in to Mealtrip.com to add your own review for Enoteca Castello. 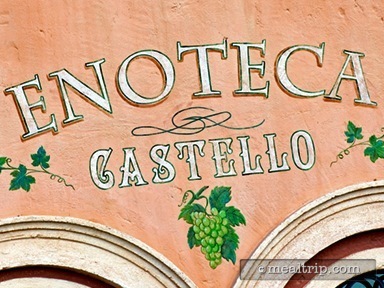 Enoteca Castello's artwork above the entrance facing World Showcase lagoon. 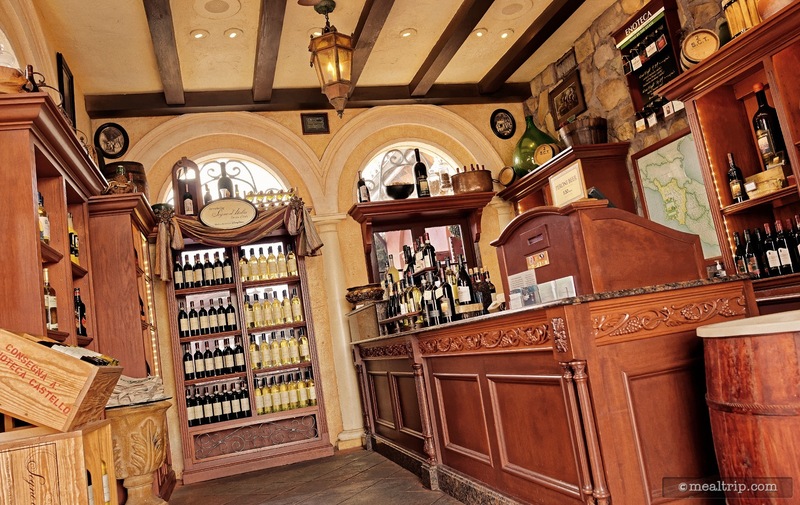 The quaint (i.e., small) Enoteca Castello in Epcot's Italy Pavilion is sometimes mistaken for a shop where you can buy bottles of Italian wine. It is that, but they also serve wines by the glass, and offer a couple of wine flights as well.